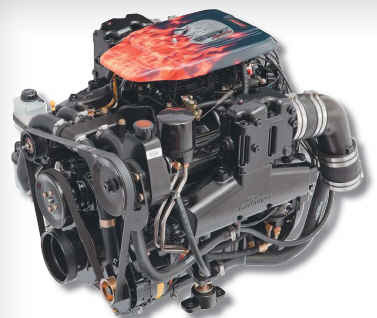 Our Remanufactured Marine Longblock Engines have a Max bore size of .060″ over. The normal manufacturing process includes cutting .040″ then checking cylinder wall finish, and if needed cutting another .020″ maximum. NOTE – All of the cylinder bores will be the same diameter. 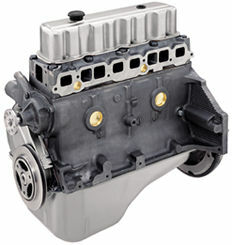 People generally have a misconception of cylinder bore that more is bad, which is not necessarily true. 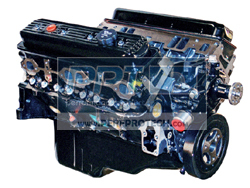 While a .060 bore or .040 for that matter has less “meat” in the cylinder walls than it started with originally-it does not negatively affect engine performance or longevity. GM’s OE cylinder wall thickness varies from engine model to engine model..and even from block to block depending on casting shifts..or mold design. The production process for our remanufactured longblocks monitors casting shifts and uses a type of ultrasound machine to measure thickness to make sure it is in our allowed range on questionable blocks. BOTTOM LINE: Cylinder Wall Thickness is more important than how much the cylinder is bored out. 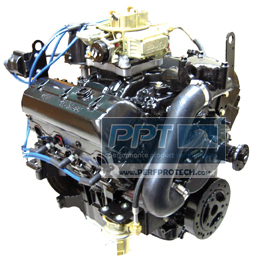 Using the links below you can review more information regarding changing out a longblock. Let us know if you need any further technical information, we will be glad to assist!